If you've been hanging out with me on Snapchat the last few days, you know that for the past few weekends, Zach and I attempted to start really potty training Lily. I say 'really' because we've been going on and off with her and potty training for the last few months. I've always been told that you should wait until their ready to introduce them, and she's been ready for a while but never really took a huge leap. Of course there are several stories of parents potty training their child in a week or even a weekend. 1. Potty Train in Sessions. 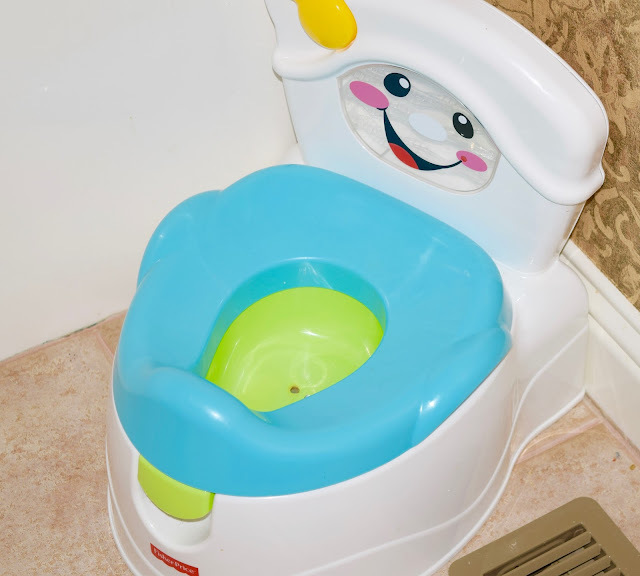 For the last few weeks, we've been bringing Lily to her potty that we purchased a few months back right when she gets home from school, after dinner/shower. I'm constantly asking her when I'm with her on weekends, if she has to go every 30 minutes. She either answers 'yes' or 'no' or runs herself if she feels the urge. 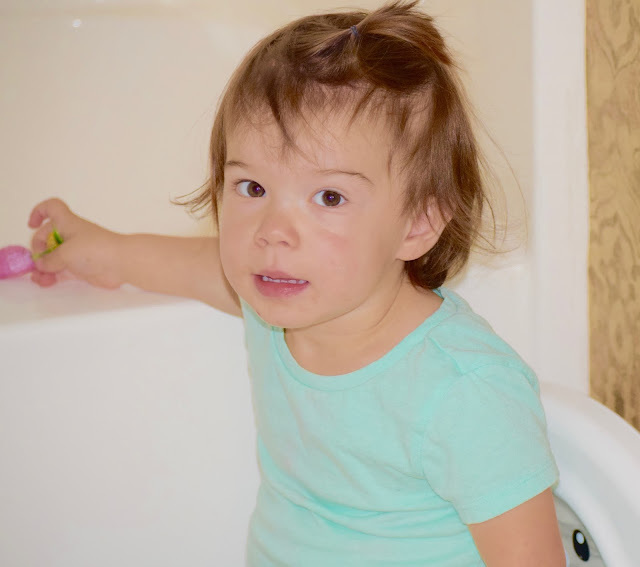 Knowing that she needs to go when she waks up in the morning, to various times throughout the day and at night is helping her learn to continue to use it. 2. Give Praise. This is a given, but even if Lily sits on her potty, we always clapped our hands and told her good job so she knew it was a great place to be. Even if she just sat and didn't have to go, we'd always keep her spirits up by encouraging her or saying "Let's try next time!" She is so good now at sitting down and giving us that surprise look and yell " I WENT PEE PEE " ! Praise is key in my eyes. 3. Tell Their Teachers. In the beginning, it was a hard transition for Lily to go from her underwear at home, to a pull up all day at school and then back to her underwear at home. Sharing with the teachers that we were going to start potty training keeps everyone in the loop and also keeps encouragement up and consistency in her life. Once they knew, they were great about asking and putting bringing her to the bathroom. If you're giving a reward, make sure you have stickers or something fun their teacher can give them. 4. Sit With Them. I never leave Lily alone in the bathroom by herself. I'll sit either on the toilet or the floor and sing a song with her while we wait. I also have a small timer that shows her how long we should sit for so she knows when the timer goes off she can get up. Boys I know can be a bit tricky for Mom's to teach for obvious reasons, so having your husband or father figure help would be important. The last few days she's been wanting me to sit outside the bathroom and wait for her until she's finished. Knowing that she can do it on her own without my help has been a big step for her. I know there are a million other ways to help your toddler with this difficult milestone but my other huge advice is be patient. While Zach and I were trying to keep it together when Lily would loose her bladder on our carpet, she's still learning and so are we with how to make this work for all of us. If you have any tips or tricks, please comment below! We're taking it day by day so I know we'll get there eventually! 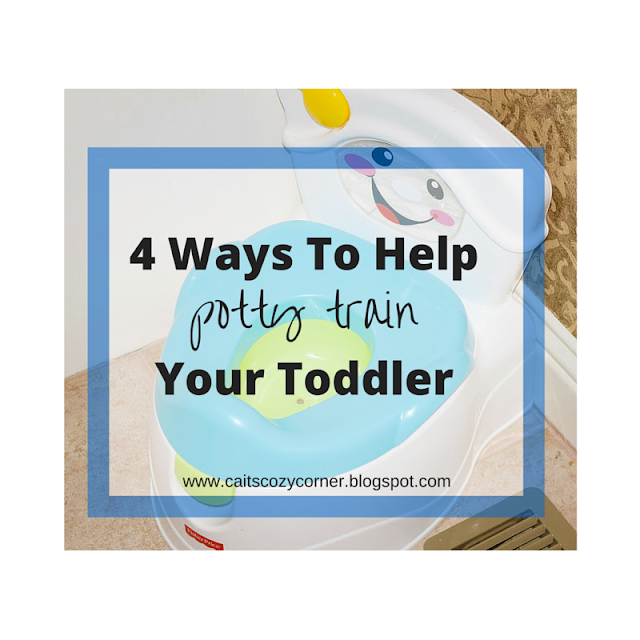 What was your best/worst story with potty training? Wishing you luck too Holly! !